We are an approved continuing education provider with the Rhode Island Contractor's Registration Board to satisfy your CE requirements (RI CRB Education Provider ID: 8). Complete the continuing education to renew your RI contractor license today. All of our courses can be completed At Your Pace Online to help you meet the state's requirements to maintain your license. Once you finish your course you will have an official certificate of completion to save for your records. All residential contractors including contractors who perform both residential and commercial work, are required to obtain and provide proof of continuing education. 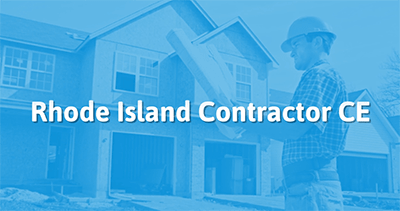 All residential contractors licensed in Rhode Island are required to complete 5 hours of continuing education during their two year license period. This course begins with a section on Building the Exterior Shell Training (BEST) and then moves into a discussion on a current trend with Micro Houses. We will cover the following subjects in the course. Installation of Windows, Doors, etc. to create the "building envelope"
Congratulations and thank you for applying to pe part of the Rhode Island Contractors' Registration and Licensing Board Educational Providers. Enclosed please find your Education Provider Certificate. The board met on August 9, 2017 and approved your application to become an approved education provider for the Board, and approved the courses presented. 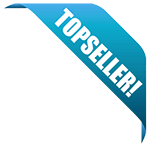 You are currently listed as a Provider in our system #41327, Provider #8. Please be advised that the courses approved must be for a minimum of 50 minutes of instruction for each hour the course is conducted. Thank you for providing this service and look forward to working with you to better improve the construction industry.